President Hassan Rouhani and his cabinet members lined up on Wednesday to defend a Convention signed by the littoral states of the Caspian Sea. Responding to reports and speculations that question the possible benefits and advantages of the convention for Iran, Rouhani and his ministers tried to draw a rosy picture out of the treaty, presenting it as a "great national achievement" for the Islamic Republic. 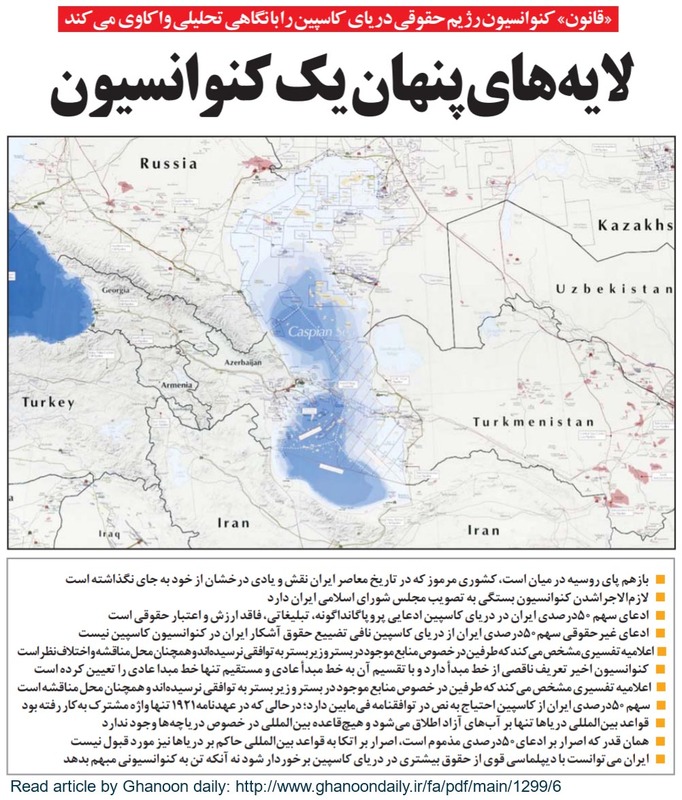 Without any elaboration, Rouhani asserted that the Islamic Republic has received "special privileges" based on the Convention on Caspian Sea legal status. Setting aside the meaning and content of "special privileges", Rouhani "expressed happiness" over the improvement of security in the region compared to past years, saying "After twenty years of negotiations, only thirty per cent of the Caspian Sea issues have been solved and negotiations still continue." Reports from other Caspian Sea countries say that full agreement has been reached. Kazakhstan, for example, celebrated its great victory at the summit meeting. It appears only Iran remains vague on the nature of the agreement. Still steering clear of spelling out the "solved and unsolved issues", Rouhani, maintained, "We have to continue negotiating because this is the only way. We must resolve the issues with dialogue and negotiation." Meanwhile, Rouhani, who was speaking at his cabinet meeting on Wednesday, accused the United States and NATO of "conspiracy" in the region, claiming, "The conspiracies of the Americans and even NATO was to be present in these waters and deploy their soldiers, frigates, helicopters and bases on the coasts of Caspian Sea. In this agreement, the five countries agreed to ban the presence of foreign vessels in Caspian Sea." Furthermore, Rouhani boasted, "We have had great achievements in national security as the result of the negotiations and agreements." In the meantime, Iranian Foreign Minister, Mohammad Javad Zarif was assigned on Wednesday to dismiss critics who believe the Caspian Sea Convention signed in Ak Tau, Kazakhstan, is detrimental to Iran's interests. Speaking to a pro-hardliners website, Alif, Zarif stressed that Tehran has not conceded any significant part of its territorial rights to the Caspian Sea. The top diplomat said such figures are not correct, adding that no shares of the sea have been determined yet other than for Russia and Kazakhstan. Zarif further emphasized that the Iranian administration has not retreated (from its stance) or relinquished its rights to the Caspian Sea. The Russo-Persian Treaty of Friendship signed on February 26, 1921, in Moscow gave an equal share to both countries and it stayed the same until the dissolution of the Soviet Union. 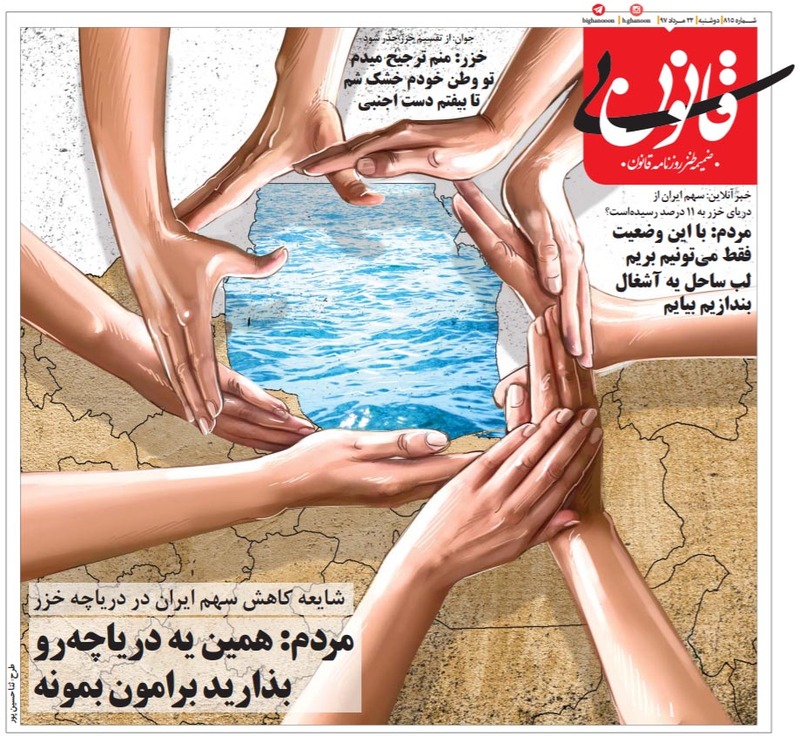 Iranian critics of the recent convention signed by President Rouhani argue that the new treaty jeopardizes Iran's "equal rights" to the usage of Iran-Russia frontier rivers and "waterways", i.e. Caspian Sea, stipulated in the Russo-Persian Treaty of Friendship. In the heated debate over the new convention and comparing it with the old treaty, BBC's Persian Service aired a controversial comment by an analyst, introduced as a Russian expert who had been involved in the negotiations on the Caspian Sea. "The Russians were astonished when Iranian representatives to the talks easily abandoned their 50% share in the Caspian Sea," Rajab Safarov told the BBC. Iran's Foreign Ministry spokesman, Bahram Qassemi, denied as invalid the comments by Rajab Safarov about Iran's share of the Caspian Sea, saying no such person has ever been involved in the team of Russian negotiators. 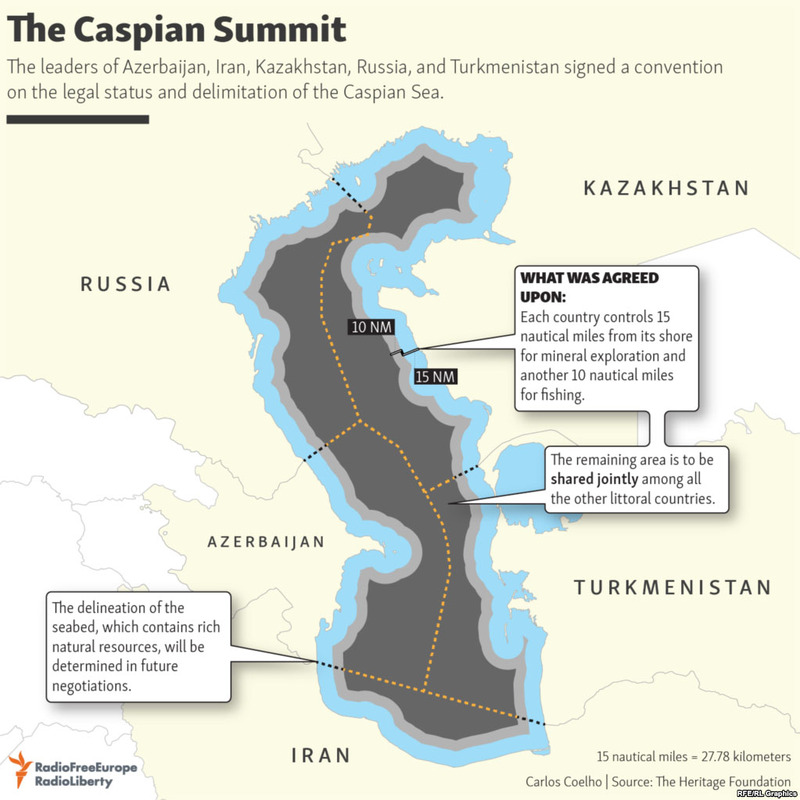 "Iran has not insisted on its fifty-percent share of the Caspian Sea from the outset of the negotiations" Qassemi insisted.